Earn $8.49 in Podium Club credit (849 points)What's This? Dark clouds in the sky used to mean bad times under bulky, clammy, so-called "waterproof / breathable" jackets, but Castelli changed all that with the advent of their Gabba line of rain jerseys. They've since improved their game-changing protective yet sleek wet-weather garments with the Women's Perfetto Long Sleeve Rain Jersey that takes the place of the old Gabba jacket. It fits better than ever with a redesigned rear splash flap, which lies flatter for more coverage without spoiling your aerodynamic profile, and Nano Flex panels under the arms give you unrestricted mobility for total comfort. The Gore® Windstopper™ X-Lite Plus fabric has a stronger water-repellent coating that keeps out the wet without sacrificing anything in terms of breathability. Combined with the full-length YKK® Vislon zipper and zippered side-vents, the Perfetto Long Sleeve is just at home on chilly dry rides as it is in torrential racing conditions. I love this jacket. Seems to be the perfect spring riding weight. I am not over heating nor am I to cold. This is perfect for me. I have only worn this a couple of times but an very happy with it so far. I haven't been over heated nor to cold. Temps have been 40-55 and I've been comfortable the entire ride. I definitely would buy this again. Best all around cool weather jersey for wide range of cool temp rides. Good fit without bulk and still keeps you warm enough to low 40s. I wear my Gabba with something underneath, thin or thicker, depending on temps. I love the fit. It runs small. I am 110 lbs and usually need a SM, but in this one I take a M. The size chart is accurate. Easily unzips for venting, but its magic is that it vents really well without unzipping. Hard to find the 3W's warm, water resistant, wicking. Get rid of the bulky jackets, the multiple jerseys and invest in a Gabba. Wish I had done this long ago. Put a vest in my pocket, warm under layer and I am set! Hope to add another color next year. AWSOME piece. Treat yourself to style and comfort for those long cold rides. I bought this for the winter in the bay area and it is the best jacket I have ever. I wear it with a base layer and a jersey and I am set for the winter. The jacket cuts the wind and breaths well enough so that I don't overheat. Highly recommend. 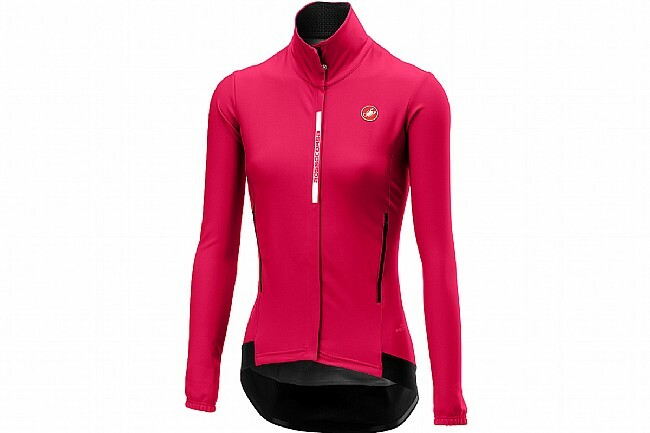 The Gabby jersey is one of the go-to items for anyone riding in the unpredictable weather here in the Pac NW. Heavy enough to keep you warm on brisk rides in the mist and fog, waterproof enough that it required drainage eyelets in the back pockets, and light enough that you won't overheat in warmer (40-50 degree) winter conditions. 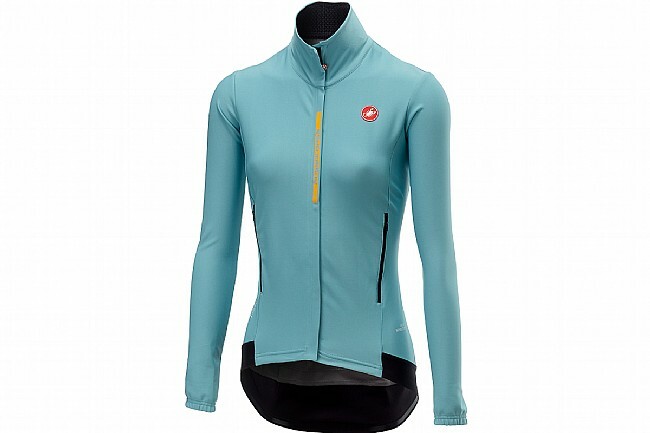 The Gabba women's jersey seems to run a bit small compared to other Castelli women's gear, especially across the chest.